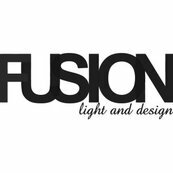 We regularly work with Tammy at Fusion Light and Design for all of our commercial and residential projects. She is very professional, and prompt. Her knowledge of the products--both for design and fixture/electrical specifics is fantastic. Fusion Light and Design has a tremendous repertoire of lighting lines to select from; and their pricing is the best!